The last weekend of April and the first in May. That weekend marked what could be the first annual Cornfest Oregon. Joel Parker, Matt Connors and I drove three hours south on a Friday night from Portland to Sisters, Oregon. 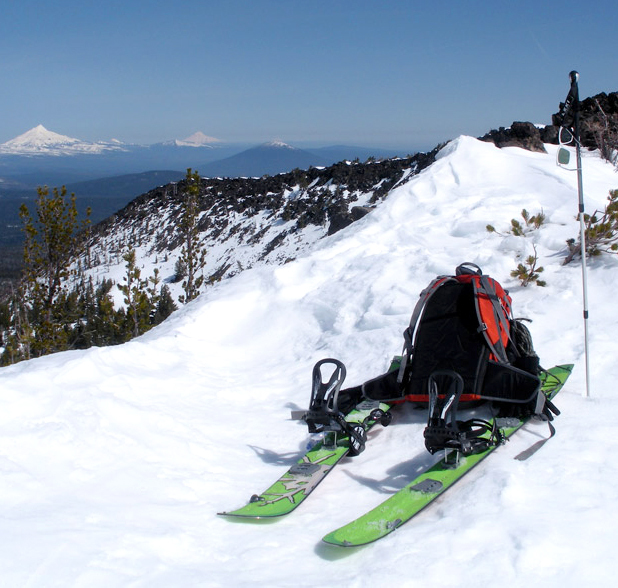 Joel had spotted another splitboard zone during a work trip servicing a snotel site. We had been talking about riding this ridge for the better half of the winter but snow and time hadn’t come together. 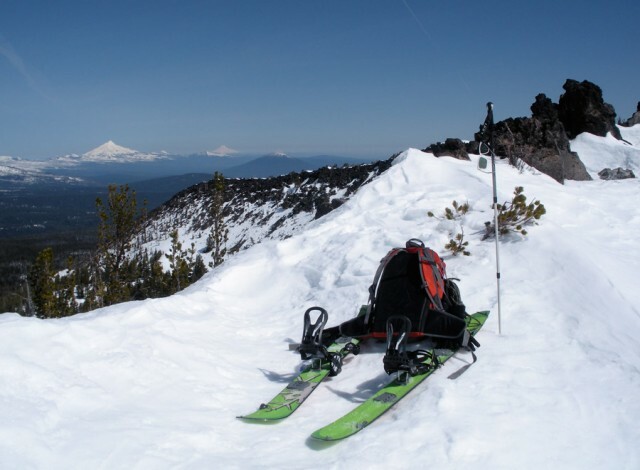 With the Northwest having heavy late April snows the backcountry conditions had been hanging on better than expected. 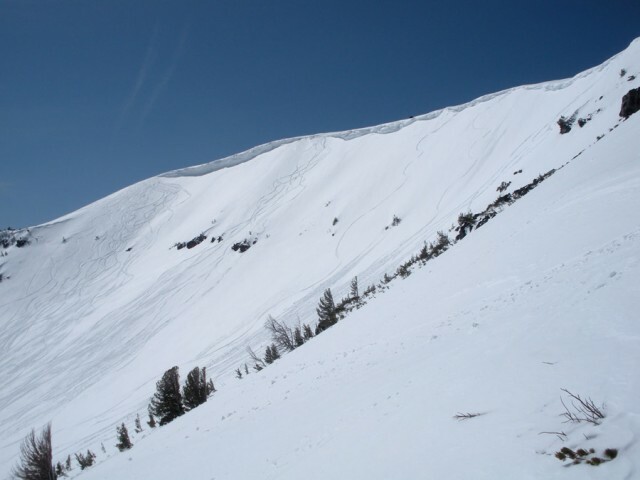 We had seen images of the terrain and shots of skiers coming down the bowl on a website for a yurt for skiers that is operated out of this area. Our hopes of finding easy splitboard access and skin tracks already laid by skiers renting the yurt turned out to be spot on. Joel borrowed a sled trailer from work and dragged Matt, myself and the trailer filled with camping gear five miles from the trailhead. We setup camp along the wilderness boundary and ditched the sled for our skins. The sky was very blue and the air warm as we skinned from the lake up the ridge seen in the video from our sled approach. This trip marked the first splitboard/skinning adventure for all of us that we deemed as successful. Splitboarding has proven to be more difficult than expected. My first winter on the board has been slightly disappointing here in Oregon. I’m finding harder access than expect making a sled necessary for the entry to most lines. The turns in comparison to sled laps that I’m accustomed to are limited and the expectation of fresh turns for all the effort hasn’t been the result of most of my skinning. The Three Creek Lake zone was successful in our efficiency on the boards and our downhill reward. Matt, Joel and I made three laps on day one, only slowed by the hot spring sun causing some unfavorable avalanche conditions and another bigger lap on day 2. Day two we woke up late in our tents letting the sun warm the morning air before climbing out of our bags. Our line Saturday was on a much bigger face. We powered up a 1,500 vertical feet climb in an hour and ten with a pit stop three quarters the way up to pack up the skins and switch to boot pack. The sun had already toasted the three day old powder and I almost tumbled down the whole line due to the sticky sun-baked snow grabbing at my board. Joel and Matt smartly traversed further down the ridge to a more protected line that provided some good steep turns. 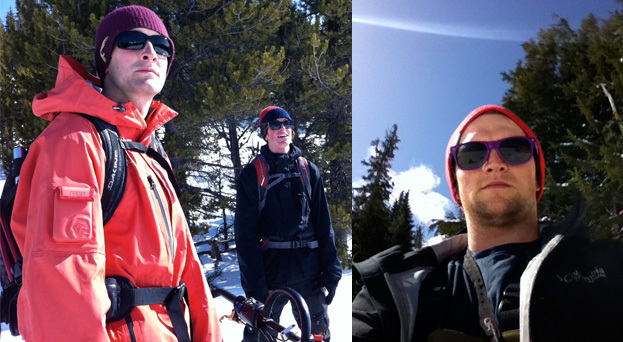 We totally lucked out on weather, two days of 40°s and 50° temps in the backcountry. This kind of warm welcome to a new zone left us feeling like we had a first annual event on our hands. With Montana’s Cooke City Cornfest being out of reach again this year I was pleased to get the spring snow camping and hiking event in closer to home. There were three different ski parties out in the bowls, which added to the Cornfest vib. When we arrived at the trailhead there were multiple camper and vans towing sled trailer with skis hanging off the backs. Take note that Cornfest Oregon is later in the spring than Montana so any of you Montanans are welcome to join next year.